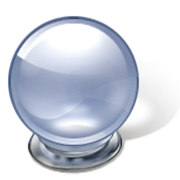 Philoso-Rants: Forecasting Topics to Come! Over the next few months, I plan on writing about each of these topics. Feel free to root for your favorite (if anybody wants one, I'll do that one next! ), or to suggest other topics. I'm partly putting this list out here to shame myself into actually writing the dang things.